Detroit Police Chief Warren C. Evans announced yesterday that the Detroit Police Department, in cooperation with the Federal Bureau of Investigation and the U.S. Drug Enforcement Administration, seized 1,100 pounds of marijuana within the past week. These seizures came from two locations, including one in the 22000 block of Tireman in Detroit's Warrendale neighborhood. The video from this press conference is available below. I commend every officer and special agent who was a part of these seizures. Thank you for making our neighborhood better. The Michigan Department of Transportation will hold a public meeting regarding upcoming improvements to the Southfield Freeway (M-39) on Wednesday, February 3 at 5:30 p.m. This meeting will be at Renaissance High School (6565 W. Outer Dr.). A presentation to explain the planned improvement project will be followed by small group brainstorming and discussion amongst attendees. This is an opportunity for citizens to share their comments and ideas directly with MDOT officials. Beautification, including selecting beam colors for bridges and design elements for screen walls, will be topics for community input. This will be the first of three scheduled meetings. Yes, I have finally gone an entire week without blogging. I feel the withdrawal symptoms coming on. The good news is that the pilot for a home improvement show that I'm working on is 100% done, all of the DVDs have been burned and everyone is happy - a full 36 hours ahead of the official start of the 2010 NATPE Market in Las Vegas. I will return to the blogosphere on Thursday. I'll see everyone then. It's Thursday - and this is my first post of the week. In case anyone was wondering, I've spent the past few days ending video for footage for television pilot. It's due out west in just over a week and, well, that hasn't left much time for blogging. Thankfully, the project is back on track so I'm able to resume a semi-normal life. Anyway, enough with the sidebar stuff. This week's over Tip of the Week comes to us courtesy of the Federal Bureau of Investigation. A devastating 7.0 magnitude earthquake hit the island nation of Haiti on Tuesday. Government sources say that the death toll from this disaster could be as high as 100,000 and that it has effected several million people. One of the unfortunate things about the aftermath of disasters like this - besides the obvious - is that it brings out a multitude of scam artists who look to make a quick buck from everyone's sympathies. They create what appear to be legitimate appeals support, but any donations they receive are routed to their own pockets. In order to minimize this, the FBI recommends that everyone follow a few simple guidelines. Do not give your personal or financial information to anyone who solicits contributions. Providing such information may compromise your identity and make you vulnerable to identity theft. Anyone who has received an e-mail referencing the above information or anyone who may have been a victim of this or a similar incident should notify the Internet Crime Complaint Center via www.ic3.gov. I blogged back in June of last year about the questionable priorities that were indicated by Mayor Dave Bing's decision to spend $1.4 million demolishing the historic Lafayette Building (144 W. Lafayette) downtown while doing relatively little about vacant, burned out homes in our neighborhoods. This issue takes an interesting turn with events downtown today. Reporters from around the world are in town to cover the arraignment of the underwear bomber, Umar Farouk Abdulmutallab. Most of these reporters are camped out in a parking lot near the U.S. Courthouse in Detroit; one that is right next door to the partially demolished Lafayette Building. This, in turn, means that shots of the Lafayette Building are now in the backdrop of many of these live newscasts, putting Mayor Bing's blunder at the center stage before an international audience. One reporter from The New York Times snapped the photo at left. He posted it on Twitter with the caption "Only in Detroit." More on this story can be found in the Detroit Free Press story that is linked below. In the meantime, I simply want to remind everyone that the North American International Auto Show begins next week. This will bring even more reporters from around the world to Detroit. Again, almost all of them will have to go past the Lafayette Building to get to the show. I'm sure we have more embarrassment in store for ourselves. I had blogged before about how I believe that the City of Detroit, and the Detroit Police Department in particular, would be well served by looking at how things have worked in other cities and applying those lessons to our current challenges. In particular, I've talked about Los Angeles. Any comparison with Los Angeles has suddenly taken on a whole new level of significance. Mayor Antonio Villaraigosa of Los Angeles announced yesterday that his city's major crime rate had dropped 8.6% in 2009 and that its homicide rate had dropped 18%. Los Angeles only saw 314 murders last year, in spite of the fact that it has a population of more than 4 million people. By way of comparison, Detroit had 375 murders in 2009. To put it more succinctly, Los Angeles has a population that is more than four times larger than Detroit's. However, they have fewer murders than us. I believe it is time for us to start demanding a lot more out of our elected officials. Mayor Dave Bing and Chief Warren Evans have enjoyed a relatively smooth honeymoon with few complaints from the media about their job performance. However, every honeymoon must come to an end. It's time for them to start producing results. 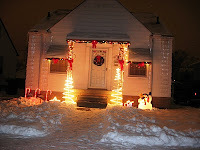 Snow is hardly unique to the Warrendale neighborhood. And there are definitely moments when I am less than thrilled with snow. However, according to all of the weather forecasts, we don't have any choice as to whether or not it shows up. It looks like we're going to have a decent amount of the stuff come our way. We may as well try to make the best of it. Therefore, I'm declaring snow to be the Cool (no pun intended) Warrendale Thing of the Week and practicing my snow ball making technique. 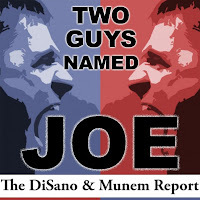 I want to take a moment to congratulate two great people in the realm of social media, political consultants Joe DiSano and Joe Munem. Their weekly podcast, Two Guys Named Joe, was well ahead of the curve in predicting - some would even say influencing - Lt. Governor John Cherry's departure from Michigan's gubernatorial race. For the past eight months, the Joes have offered a compelling and interesting look at Michigan politics from the perspective of those who campaign for a living. More their material is available here. I received confirmation earlier today that my novel will soon be out of print. I'm a little sad about this news. However, it's been a great seven year run on the bookshelves of America. If you'd like to read my novel, this may well be your last chance to do so. It's available from Amazon.com or from Alibris.com (one of the sponsors of this blog). 7311 Mansfield is a four bedroom, 1 1/2 story brick bungalow. It features three full bathrooms, a finished basement, as well as stunning hardwood floors. This historic home was built in 1929. It provides one with approximately 1,500 square feet of living space in the Warrendale neighborhood, just north of W. Warren Avenue. This charming residence has been completely renovated. I'm impressed by the fact that it has "in-law quarters" on the second floor. This is a smaller residence, complete with a full kitchen and new ceramic tiles. It's perfect for keeping one's in-laws close, but not too close. This property is represented by Gary Watson of Real Estate One. More information about the property is available on his website. This charming home on Mansfield in the Warrendale community is the Featured Place to Live for this week. I can't believe that I missed this, but the folks at Pizza Place (18706 Ford Rd.) have their own commercial up on YouTube. It's available below. 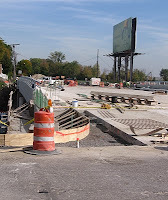 I hope I'll see more commercials for businesses in the Warrendale neighborhood soon. And not just because I run my own video production company. Among other things, this means that the U. S. Census Bureau is hiring temporary, part-time workers to help with the constitutionally mandated, once a decade census. These short-term jobs offer good pay, flexible hours, paid training, and reimbursement for authorized work-related expenses, such as mileage incurred while conducting census work. Best of all, census takers work right in their own communities. More details about these jobs are available here. The Michigan Community Service Commission today announced they are seeking nominations for the 2010 Governor's Service Awards. The Governor's Service Awards are presented annually to individuals, businesses, and organizations to acknowledge their commitment to serving their communities through volunteering. Youth Volunteer of the Year - honors individuals who are age 21 or younger. A celebration will be hosted by Governor Jennifer M. Granholm and First Gentleman Daniel G. Mulhern to recognize the finalists, including the award winner, in each of the eight categories that illustrate the diverse nature of volunteers throughout the state. The event will be held in June 2010. The 2010 nomination form is now available at www.michigan.gov/volunteer. Nominations must be postmarked by February 23. I've heard of some interesting financial scams. However, when one actually tries to scam the special agent-in-charge of the Detroit Field Office of the Federal Bureau of Investigation as well as Detroit's chief of police - well, I'm not sure if that takes cajones, stupidity or both. The result of this can found in an email that I received. I'm reprinting it in its entirety below. It is your Tip of the Week. Andrew G. Arena, Special Agent in Charge (SAC), Federal Bureau of Investigation (FBI) Detroit, Michigan received an official looking company check in the mail for the amount of $2,600. SAC Arena had no knowledge of the company issuing the check or why he would receive such a check. The controller of the company said this has been going on since March/April 2009 and the identity of their company has been used to try to scam people all over the United States. Additionally, SAC Arena has received two more of these scam checks in the last month. According to 2nd Deputy Chief John Roach of the Detroit Police Department, Detroit Police Chief Warren Evans had recently received a check similar to the $2,600 check received by SAC Arena. In a different scam, a man received a business check in the mail in the amount of $4,250 with a letter attached. The letter stated the man was the winner of a lottery and he was entitled to a prize of $50,000. This letter advised the man to cash the check and send the money, as part of a tax payment, to an address/person listed in the letter. The letter promised the certified winnings check would then be sent to him. The letter even went as far as advising that there are scam artists who would ask someone to send money upfront without such a check being attached. Don’t believe everything you are told. If something sounds “too good to be true” it probably is. Avoid being taken by high pressure sales. Take time to research offers before deciding whether or not to participate. Don’t do business with anyone who solicits your money in advance of awarding a prize. Inspect all representatives’ credential carefully. Get all offers in writing and keep a copy for your records. Don’t deposit checks sent by companies that claim the check is being sent to pay fees or taxes on lottery winnings. Protect your personal information: do not write you bank account numbers, driver’s license numbers, phone numbers on the back of check sent by unknown entities, or entities that have no reason to send such checks. The public is encouraged to report these scams when they occur. Do not be embarrassed as these frauds are perpetrated by sophisticated con-artists. I throughly enjoy posting about job openings that come my way, even when it's for something that isn't actually in the Warrendale neighborhood. After the efforts to redevelop Kosciusko Elementary, there has been a lot more people with an interest in historic preservation reading this blog. Therefore, I thought it would be appropriate to pass along news of an opening for a historian at the Michigan State Historic Preservation Office. This person will assist in processing project information for review under Section 106 of the National Historic Preservation Act of 1966, as amended. This position will be responsible for timely reviews of Weatherization Assistance Program projects for compliance with Section 106. A master's degree in history, art history, museum studies, anthropology, American Studies, architectural history, historic preservation, or archival management is required for this job. Additional details about this position are available here. I stepped away from blogging for a couple of weeks to enjoy the holidays with friends and family - and umpteen blog-worthy things happened in my absence. There were actually several points during the past two weeks where I felt an urge to step away from the festivities to blog. I thankfully refrained, which means that my friends are still my friends. The biggest piece of news came on Christmas Day when a 23-year old Nigerian national the by name of Umar Farouk Abdulmutallab attempted to blow up a Northwest Airlines that was bound for Detroit, with a bomb that was concealed in his underwear. By the grace of God, he did not succeed. He was quickly restrained by fellow passengers as well as the flight crew. Within hours of this attempted bombing, U.S. Representative Pete Hoekstra (R-Zeeland) used this incident in a fundraising appeal for his campaign to become Michigan's next governor. This, by the way, is the same Pete Hoekstra who voted against the funding needed to improve security at our nation's airports. Of course, Congressman Hoekstra neglected to mention this in his "urgent appeal" for campaign cash. He has been dodging questions from reporters sense then. The complete text of Congressman Hoekstra's embarrassing fundraising pitch is available here. Shortly after that, the city of Detroit witnessed a violent crime spree that thankfully left the Warrendale neighborhood untouched. At least five people are dead as a result of robberies, home invasions and drive-by shootings - all of which happened within a 24-hour time period. Two days later, an off-duty security guard named Tigh Edward Croff shot and killed an unarmed trespasser. This happened near Mr. Croff's home on Detroit's east side. Depending who one asks, Mr. Croff is either a hero or a vigilante. He is currently in jail awaiting trail on murder charges. Further details about his case are available here. I will let the courts decide whether Mr. Croff is a hero or a vilian. The one thing, though, that I can say with absolute certainty is that if the Detroit Police Department doesn't step up its response to crime in a major way, there will almost certainly be more vigilante actions before this year is over. And in order for Detroit Police Department to step up its response, Mayor Dave Bing and the Detroit City Council need to step up as well. They need to address this City's problems much more proactively, ensure that the police everything they need to do their jobs and, most importantly, are held accountable for doing it. Of course, the weirdest crime news in recent weeks came from three miles north of the Warrendale neighborhood. A man who wasn't named in news reports threw two explosive devices at his girlfriend during an argument. These devices hit her in the face causing serious injuries but, like the Christmas day bomb attempt, did not detonate. When police went to his home later to search for explosives, they found approximately 250 lbs. of marijuana in his possession. I'm not sure what is the weirdest part of this story: throwing two bombs at a girlfriend's face, the 250 lbs. of marijuana, or the fact that this guy is reportedly a school crossing guard and the head of his local neighborhood watch. In the gift that keeps on giving, we also learned this past week that former Mayor Kwame M. Kilpatrick will face yet another law suit concerning the alleged party at the Manoogian Mansion. This one comes from the family of the exotic dancer who allegedly danced at this alleged party. It seeks to force the release of even more text messages, thereby guaranteeing that we will have a lot more to talk about this year. Last, but not least, former Detroit City Clerk and Wayne County Commissioner Jackie Currie passed away last week. She had been suffering from a prolonged illness and died in her home of natural causes. If all of this serves as any guide whatsoever, I believe that it's safe to conclude that 2010 promises to be nothing if not a newsworthy year.